This is the story of my life in one sentence: I can always do more… Unfortunately this sentence plagues me day in and day out. I don’t like to waste a minute of time, and what that means is I am constantly running from one thing to the next, leaving very little time in between. If I feel like I have a little extra time, I take that time and run with it – and then that usually makes me late for the next task. It is a curse, although on the other hand, I am extremely productive! And tired. The other week we were invited to our neighbor’s house for dinner, and was asked to bring dessert. I really had all day to prepare something, but I wanted to get errands done, and pretty soon I had an hour left to prepare. I looked in the refrigerator and saw that there was some extra creme of coconut in a container…and that got me thinking about this recipe I found in Bon Appetit ages ago, but never had an opportunity to make it – Coconut Caramel Sauce. I quickly found the recipe, and decided to try it out – I also had vanilla ice-cream in the freezer, so I decided that ice-cream and caramel would make an excellent dessert. 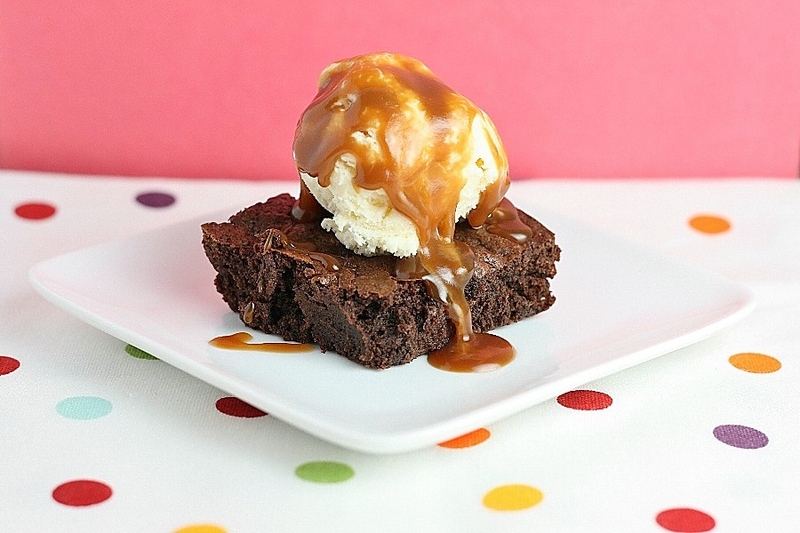 When I looked at the recipe, it looked so simple, that I knew I would have a little extra time – and wouldn’t brownies just taste delicious with that ice-cream and caramel? 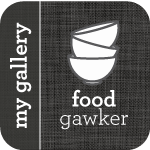 They are super quick, and ridiculously delicious – and the last time I made them, I remember thinking about how awesome they would be with caramel. So – I got to work, and within an hour, both were ready and waiting. The caramel was amazing – it was just perfect with those brownies and ice-cream, you would have thought I had been baking all day!! So, I got lucky, and the problem is that when things work out so well, it gives me no incentive to change…but then again, I have been living my life this way for over 20 years, and as long as I can make brownies and home-made caramel sauce in under an hour, the future is looking brighter and brighter. * Sweetened cream of coconut is available in the liquor section of most supermarkets. Place sugar and 1/4 cup water in heavy deep medium saucepan. Stir over medium-low heat until sugar dissolves. Increase heat to high. Boil until mixture turns dark amber, occasionally swirling pan and brushing down sides with wet pastry brush, about 9 minutes. Remove from heat. Immediately add cream and sweetened cream of coconut (mixture will bubble vigorously). Whisk over low heat until caramel sauce is blended and smooth and any caramel bits dissolve. do ahead Can be made 1 day ahead. Cool, cover, and chill. Rewarm slightly over medium heat, stirring often, before using. Scoop ice cream on top of a brownie. Spoon some of warm caramel sauce over. Simple is best at times! This looks great. I love the coconut touch! I love that coconut caramel sauce. Must try!!!! If you look at the picture looks so delicious then you get really hungry.